Mrs. Claire Charlow-Patton has been appointed Registrar responsible for the planning, organization and management of all activities related to the Records and Registrar departments. As Registrar, Mrs. Charlow-Patton has a dedicated focus on collecting, recording, maintaining and reporting on students’ records including grades, registration data, transcripts, and eligibility for clubs, organizations and athletics. She is also responsible for organizing and administering records, registration and graduation functions and supervising the coordination, evaluation and certification of all graduation applications. Additionally, she will develop appropriate recommendations for the implementation of related technology applications in support of enhanced services offered through registration and records. Mrs. Charlow-Patton joined the institution in 2001 as Director of Records after having completed more than 11 years of service at the Ministry of Education. The responsibilities of the Records department have increased significantly since the transition to University. Mrs. Charlow-Patton has brought to bear a strong sense of professional practice leading to increased productivity. 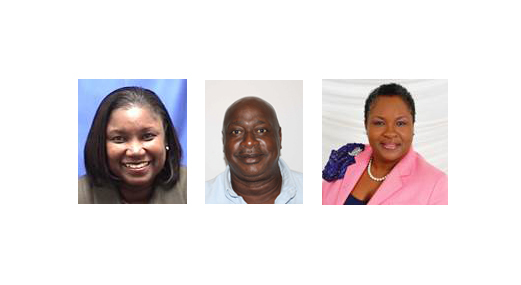 She has also served as Registrar at the Bahamas Technical and Vocational Institute. She holds a Bachelor of Arts Degree from the University of Oklahoma, American Association of College Registrars and Admission Officers (AACRAO) Certification Registrar 101 & 201, Microsoft certification, Inter-American Development Bank Project Management certification and is currently enrolled in Barry University’s MSc in Organizational Learning and Leadership. Mr. Nikita Austin has been appointed Assistant Registrar responsible for assisting the Registrar in the day-to-day operations of the Department and organizing and administering the scheduling of courses and registration functions. Mr. Austin will ensure security measures are applied at all times in the management of student records and transcripts while troubleshooting and providing leadership for the team and supervising Records and Registrar staff. Mr. Austin joined the institution as a Clerk in the Records Department in 1987. He holds a Bachelor of Business Administration Degree in Computer Information Systems from University of The Bahamas and has attended numerous international workshops and conferences, offered by Ellucian and the American Association of College Registrars and Admission Officers (AACRAO). Additionally, he has participated in several university workshops and seminars and received certificates of completion for Computer Data Processing and PC Troubleshooting. Ms. Antona Curry has been appointed Director of Enterprise Risk Assessment with responsibility for identifying and analyzing key risks at the University to determine mitigation, controls and elimination. In this capacity, Ms. Curry is responsible for monitoring university-wide policies and procedures for operation of risk management programmes, assessing risks to business operations and analyzing business or financial data. Additionally, she will focus on educating faculty, staff, and students on risk management processes, policies and procedures, responding to enquiries and developing contingency plans to deal with organizational emergencies. Ms. Curry has been employed at UB for more than nine years, holding positions at the Centre for Continuing Education and Lifelong Learning (CEES), now Continuing Education and Lifelong Learning (CELEARN), the Office of Academic Affairs and currently the Office of Enterprise Risk Assessment. She was formerly employed in the banking industry for more than 25 years. She earned a Bachelor of Art Degree in Public Administration from Sojourner Douglass College, a Master’s Degree in Human Resource Management from Nova Southeastern University and Certified Professional Manager (CPM) from James Maddison University. She is currently studying for the Enterprise Risk Management Certificate with The Institutes. Ms. Curry is also a member of University Risk Management and Insurance Association (URMIA), Institute of Certified Professional Managers (ICPM) and Association for Institutional Research (AIR). She is a Trustee of the Public Managers Union, a member of the Rotary Club of New Providence and a part-time instructor at CELEARN.